Just a quick midnight post to acknowledge the collective departure of Milan's South American contingent from the Copa. After Yepes was (undeservedly) sent home by a persistent Peru team, the Brazilians followed in his footsteps. Pato, Robinho, Thiago Silva (and Ganso?) lost to an utterly average Paraguay tonight, leaving coach Menezes to wonder what he did wrong. What he did wrong was the following - he relied on two teenagers to transform the team from defense to attack. Ganso was invisible a lot of the time and failed to take hold of games the way he does at club level in Brazil. Neymar was all flair and little substance, he was dangerous when he had the ball but his inexperience was evident. The both folded under pressure, and for good reason. Call it hindsight if you will, but I can't help but notice that somebody like Hulk would have made all the difference for Brazil. Far more important for Milan - Pato looked good throughout the competition but he missed a few crucial chances. Had he scored from one of several good situations tonight, Brazil would have been through to the semis. He took the role of the leader of Brazil's attack and he took it with confidence. This was a good chance for him to become a national hero, sadly he missed it but his performances as a lone striker were encouraging, and it's evident that the physical aspects of his game are still improving. Robinho was his usual busy bee, all over the pitch, one-on-one missing self, he could have done a lot better as the most experienced player in Brazil's 4 man strike force. Behind those 4 men played Lucas Leiva and Ramires and both failed to really take hold of the midfield, often losing position and leaving the defense exposed. Speaking of the defense, Thiago Silva was disappointing and looked strangely unfocused in more than a few situations. Hopefully this will go away by September. 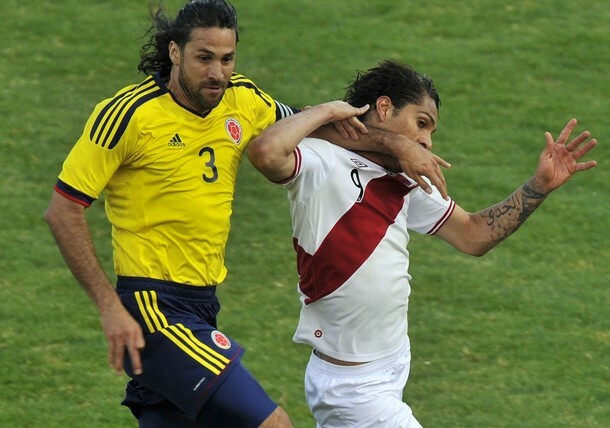 Yepes was as reliable as always for Colombia and will be good insurance for Milan next season, even as a 4th choice center back. That's all I have to say, stay tuned for the Audi Cup next week, featuring games with Bayern Munich and maybe Barcelona.